The most efficient and the best natural antibiotic? 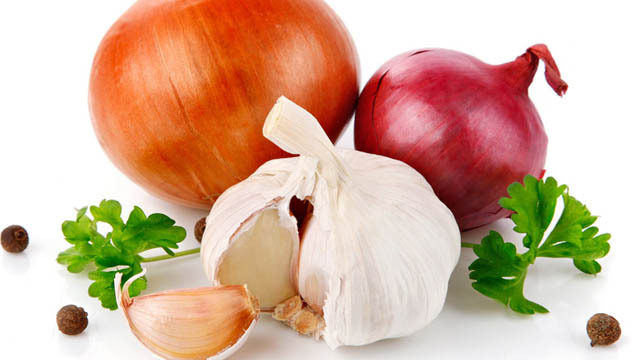 In our home – in folk medicine since ancient times garlic has been mentioned as the best natural antibiotic to treat almost all known infections and inflammations. Is it also the most effective home remedy or are there other equally good natural antibiotics? What are herbs in addition to garlic that possess strong antimicrobial properties, which can be good allies in the fight against infection, find in our text. How do the natural antibiotics act? It is already a common knowledge that the official antibiotics can often do more harm than good. But, unfortunately, we are forced to use them, especially during winter, when respiratory ailments caused by bacteria are widespread among the population. In this cold period leading colds, flu, sore throat and purulent tonsillitis, which allows doctors to usually prescribe very strong drugs. Long-term use of these medications is most damaging to our intestines, because in addition to destroying the bad it also destroys good (useful) bacteria, which are necessary for normal functioning of our whole body. In contrast, natural antibiotics have beneficial effects on the whole organism, and medicinal substances they contain are equally successful in repairing the infection, destroying a number of bacteria and viruses, speed up the healing process, but without damage to our body. So, every natural antibiotic can be safely eaten without restrictions, and their use is allowed to children, diabetics, sensitive and elderly people, especially for a sore throat which is characterized by pain in the throat when swallowing. Garlic, cranberry, sage, echinacea and wormwood are the strongest anti-inflammatory, anti-microbial and anti-fungal properties, and products based on these plants are the best allies of immunity. This is our favourite herb and it contains protein, minerals, carbohydrates, vitamins C, B1, B2 and B3, allicin, a substance that kills even the most resistant bacteria. It stimulates detoxification of the body and is effective in the treatment of intestinal parasites, Candida and hepatitis. Preparations of garlic are an indispensable part of the treatment in the case of lung disease, and if consumed on a daily basis, this plant reduces the risk of serious malignancies. It is therefore recommended to frequently consume garlic, which is the most efficient in its fresh form. Essential oil of sage successfully treats severe inflammation and purulent foci in the body, and its bitter substances clean the blood of a large number of pathogenic germs and prevent stroke. In addition, sage tea has a strong antiseptic effect, and is effective in the treatment of dysentery and tuberculosis. The active ingredients of Echinacea have powerful properties, but also act anti-inflammatory and anti-microbial. This exceptional herb effectively stops operation of bacteria, and viruses, remediate severe inflammation and enhances our resistance and immunity, and is particularly effective in the case of persistent and repeatedly reinfection. Preparations of Echinacea are restful to the inflamed mucous membranes of the throat, stimulate the secretion of bronchial secretions and sweat, and are effective in the treatment of various fungal infections, eczema and many unpleasant psoriasis. This bitter herb is rich in alkaloids, glycosides, flavonoids and essential oils, and contains pro-vitamin A. Wormwood is an excellent means of strengthening the immune system, it is a natural antibiotic that effectively cleanses the blood, intestines, kidneys and urinary tracts of harmful microorganisms and helps in cases of mouth infection. The root of wormwood is used to relieve pain in the throat and lower fever, and leaves if this herb accelerates wound healing and reduces fungal diseases of the skin. Mix one tablespoon of sage, thyme, plantain and mint and pour with a litre of boiling water and leave it to stand for about thirty minutes. Strain the healing potion and drink during the day. If the natural antibiotics are taken in combination with vegetables they provide even better results. So let’s say for example, Green vegetables are rich in vitamins C, E, A and K, as well as valuable folic acid. They prevent anaemia and protect the cardiovascular system. Orange vegetables contain a high percentage of beta carotene that keeps our vision (carrots), protects the skin and mucous membranes and increases the resistance of the entire immune system. Red vegetables are a treasure trove of lycopene and anthocyanins - exceptional phytochemicals that keep the heart and prevent the most serious malignant diseases. Purple vegetables are the best source of antioxidants, which are very important because they slow down the aging process and improve our cognitive abilities. White vegetable are rich in potassium, which regulates blood pressure, lowers bad cholesterol in the blood and prevents diabetes. If you are in doubt which of these plants is the best natural antibiotic for the throat, tonsils toothache, etc., our advice is that this does not burden you. A healthy lifestyle that includes a healthy diet rich in fruits and vegetables and some preparations of herbs that we have listed in this article, will provide strong and powerful immunity. In all of this include everyday activities such as recreation and sports, and stay in the open air as much as weather conditions permit and you will secure yourself a good health.